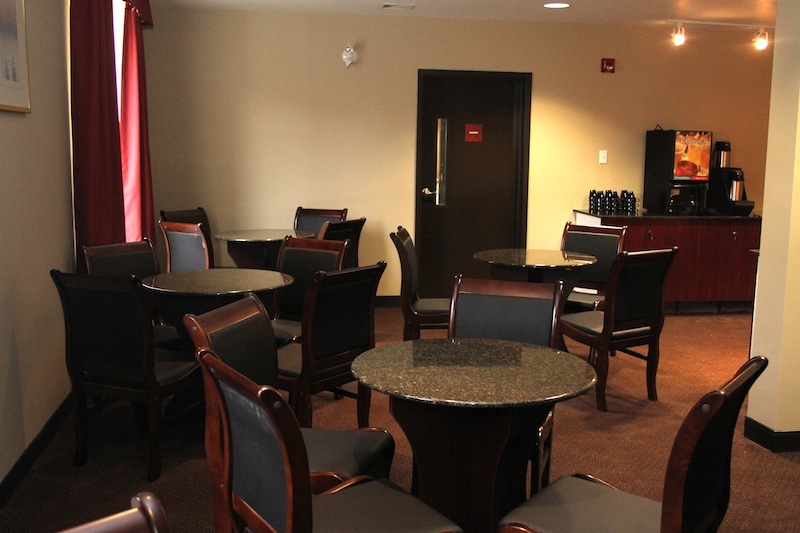 Our “Q-Corner Cafe” features a complimentary continental breakfast daily with hot options. If healthy is what you are looking for we have you covered! If waffles with the kids are more your thing we have that too! From fresh fruit and low-fat yoghurt to cereal and waffles it’s just what’s needed to energize your day. Complimentary coffee is always available 24 hours a day. Forget Something? We have you covered…just ask! 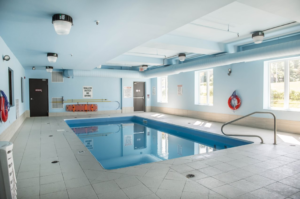 Our brand new indoor heated pool is now open!!! Daily hours are 6:00am – 10:00pm. We have a hot tub as well for guests to use. Want to work out? We have that covered. Our complimentary Exercise room is available daily from 6:00am to 10:00pm with cutting edge equipment. Not sure what to watch on TV while you are working out? Not a problem! Channel surfing is made easy with a personal TV on every piece of equipment. 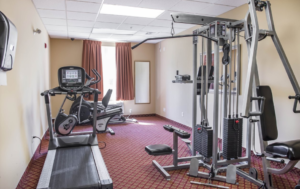 Our fitness center features a treadmill, elliptical machine, seated bicycle, and cable weight system. 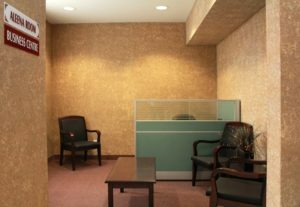 Our Business Center is 100% complimentary. Need to fax? Just ask Guest Services.